I updated some of the equipment on the trike in the last few days, so I wanted to do an article about the updates. I installed a Air Zound air horn on the right accessories bar. I needed a really loud horn for 2 reasons: 1: I’m low to the ground and in some traffic situations I need to make my presence known in an authoritative manner. 2: I need to give a blast on a loud horn to discourage dogs from giving chase. The Air Zound air horn is very effective and meets both requirements above. The horn is powered by a bottle of compressed air that one fills using a regular air pump. The recommended pressure is 80 PSI and when filled to that capacity, the horn is capable of delivering over 30 1-second blasts. That’s more than enough capacity for most rides! In the above photo, we see the air bottle at the bottom of the accessories bar. I used white color tyraps to route the air tube up the bar to the horn itself. In this photo, you see the air horn mounted on the bar, with the bright red activation switch. The horn is actually mounted upside down with the horn aperture facing downwards. 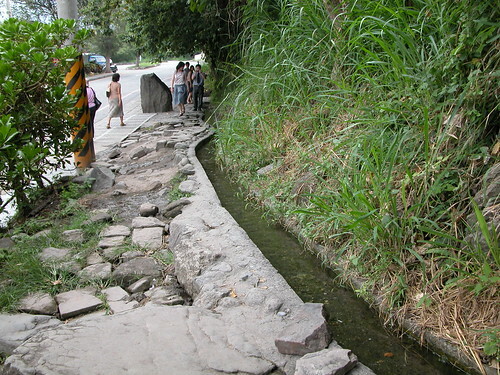 One person commented that this mounting orientation is good in case of rain! 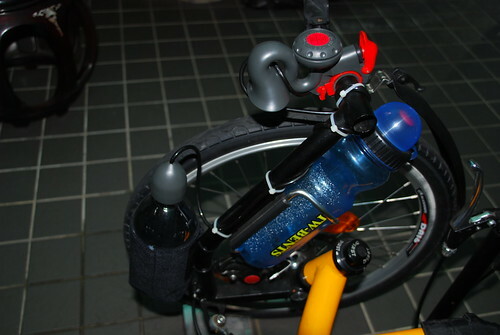 This is the only mounting position possible that allows access to the water bottle below, as the photo clearly shows. It makes no difference that the horn is mounted upside down as it is extremely loud – on the order of 115 dB. It’s now mounted at the front of the trike on the same mount as the front light (blue hue is due to the color of the roof in the foyer). The new position is just as convenient as previous as I ride with my Bluetooth headset for the phone anyway. I don’t have to touch the phone to use it. One item that I can’t believe I forgot to mention last time is the on-board air pump. Now that I have an air horn, this little hand pump becomes even more important; should I happen to run out of air, I can pump the bottle back up. 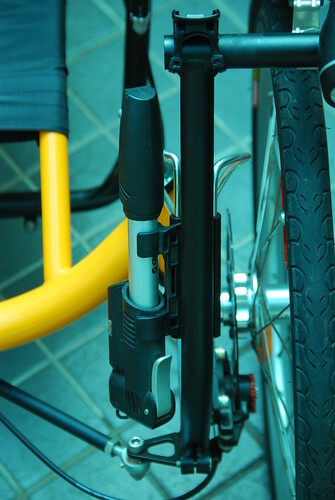 This pump is just the right size and doesn’t interfere with the operation of the trike in any way. That hand pump looks like the same one as I carry on my MTB. It does the job to get you home if you flat while out riding. I also have a high-pressure “Joe Blow” floor pump at home for regular pumping duties. the hand pump is a Giant brand and very common. i also have a Giant floor pump, which is really hard to beat. i only use the hand pump when i’m outside away from the floor pump of course. as you said, it does the job if you get a flat while out riding, but i wouldn’t want to use it for everything! hahah Dennis! sometimes it feels like that when i’m riding it! This looks perfect! I should really invest in an air horn… my bell doesn’t cut it against mountain strays (which are several times less predictable than their city counterparts) and all the careless motorists from I encounter during my commute. Todd, if you can’t find one at your LBS, try online (http://goods.ruten.com.tw/item/show?11070902042792) or i’ll be happy to pick one up and send it to you. it gives you a lot more confidence having the horn on your bike even if you never need to use it. i can’t wait to blast my first stray dog! i’ll let you know what happens! Now… with how closer you are to the equator than I am and how intense the sun can be there… I’m surprised you used white ty-wraps. I figured you would’ve used some black UV-resistant ty-wraps so that they wouldn’t crack and break over time. 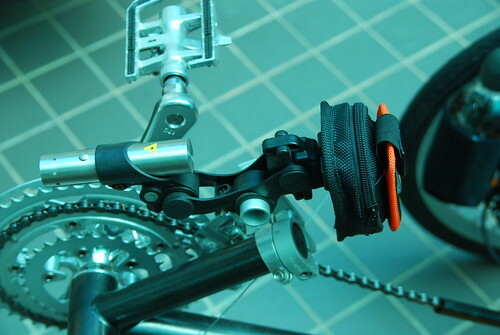 I used black UV-resistant ty-wraps when running a power cable from the large Ni-MH battery in a bag under my seat to my handlebars for the two-way radio and GPS. Mike, i like the police frequencies monitoring, lol. i’m sure your LBS (local bike shop) has or can order the Air Zound if you wanted to find one. i used the white tyraps because that’s what i had in my toolbox. i will probably change them out later. do you do bicycle mobile APRS? I’ll have to Google Air Zound and see where its available here in the USA and check with Lynn Shore Cycle at Western Ave and Chestnut St to see if they can order it. maybe we could do an article on updating your bike equipment sometime. especially if you do install an Air Zound! When I look to find a local dealer… Salem Cycle is listed as a dealer for their products. So I went to the Salem Cycle website and they have it for USD $41.99 ($39.99 plus the 5% Mass sales tax) which is about NT $1,391 at today’s exchange rate. 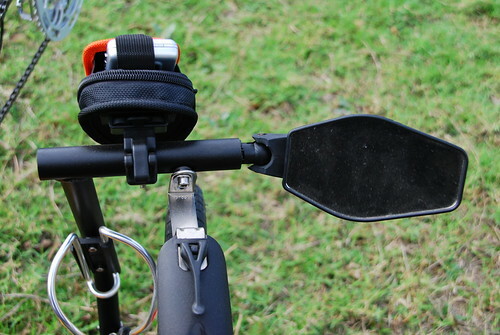 And yeah… I know I can go with a J-pole… but I was thinking more along the lines of a rear rack and then putting either a mirror or luggage rack type mount with an NMO or UHF connector on it. I already have a Diamond 6m/2m/70cm mobile antenna (6m needs a groundplane, 2m and 70cm doesn’t). I figured the bike frame “should” be enough of a groundplane for 6m. whatever you end up doing, i’d like to see some photos of it! with the disrespect and contempt that US drivers show towards bicyclists, there is going to come a time when you need to blast your airhorn just to command the space you need on the road. i’m sure the cute trick of the police on the scanner works, but that depends upon 1: people hearing it (which won’t happen in a closed up car) and 2: the police transmitting at the exact time you need them to be. sooner or later it’s not going to work and you’re going to get smashed by something. i think every bike needs one of those horns. after all, they were invented in Massachusetts for a good reason! 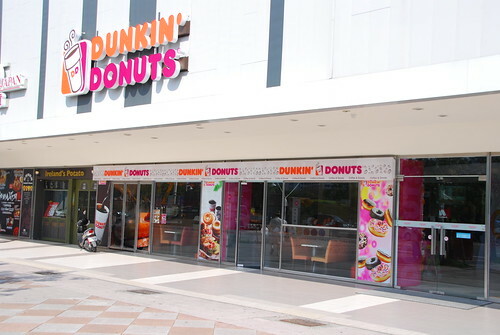 I’ll check some of the shops around town next week. If I can’t find one I’ll drop you a line, thanks a lot! Looks good. I would love to see some video footage of dog detouring. i’m not sure i want to go looking for some stray dogs to deter. 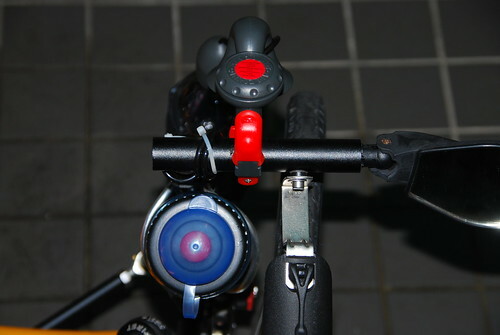 also i’ll have to figure out how i can mount my video camera on the trike. i do have a Glidecam but that requires someone’s hands on the rig to hold it from swaying. not sure if a solid mount wouldn’t render the whole video bad due to excesses vibration. a helmet mount might be possible if i can figure out a way to strap the camera onto the helmet. 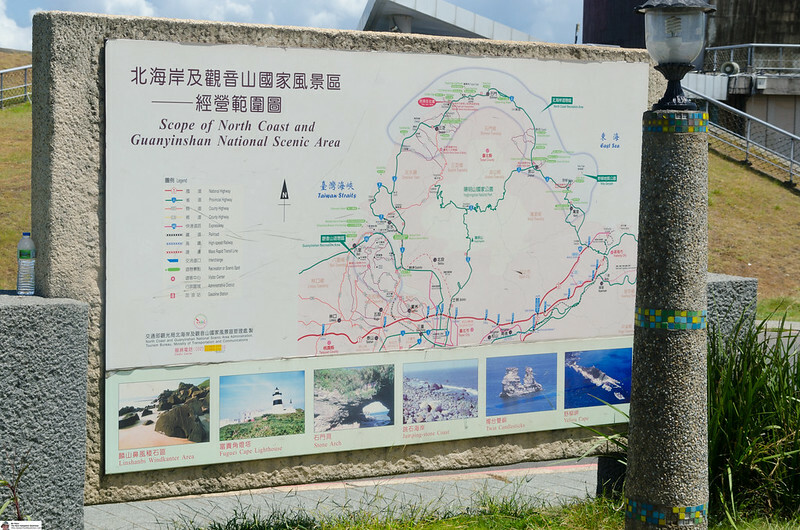 Have you ever done a post on how you wound up in Taiwan? owshawng, yes it is legal and i have a small can of it. the spray isn’t very forceful so i don’t carry it with me anymore. i tried it once on my DF bike and for the most part the wind took it away. i think i smelled more than the dog but nevertheless he did back off. i suppose i could get one of those mobile phone/TV units and have a TV on my trike…. no i never did a post on how i ended up in Taiwan. it’s a messy story involving people with whom i no longer associate and i don’t want to bring them up and that situation up, you understand. it’s a Rags to Riches story for sure though. Just curious since my wife and I talk about moving to Taichung sometimes. owshawng, i don’t regret my decision to move here and it’s my intention to stay for the duration. 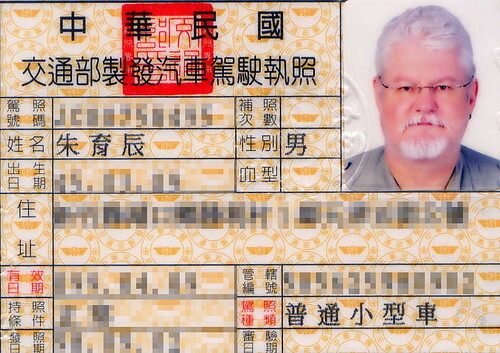 i tell people that i’m an immigrant to Taiwan and not a visitor. Where can I get mirrors like that? I just bought an artifice here in the states and it didn’t come with mirrors. hi Daniel. our reader Mel said “Looks like the CM311 mirrors from getitbent.com may be a close match. 24.95 for two in April 2010.” he’s in the US and found a close match on that website. I’m from Milton Keynes, England. After reading all about your Artifice I decided to buy one and will be collecting it from London tomorrow. 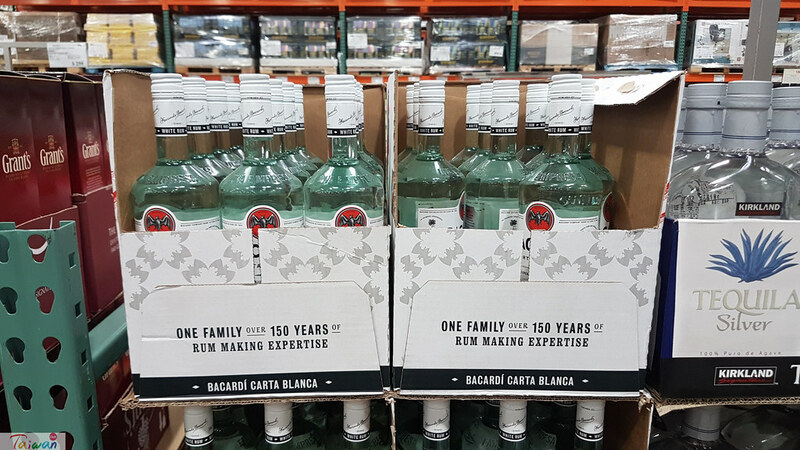 It is the best value for money I can find. My main interest is 2 wheeled e-bikes or pedelecs. My plan for the future is to fit an electric kit to the Artifice. hi John and thanks for stopping by and introducing yourself. you’re going to love riding the Artifice! welcome to the trike world! let us know how you make out after you get it all set up, etc. take care. 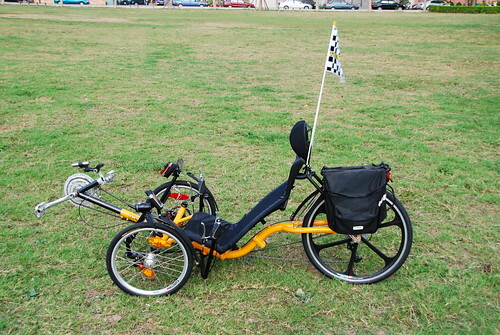 I picked up my Atifice yesterday and it is now fully assembled and went for my very first trike ride this morning. It is an impressive machine, but I need some practice and to ‘tweak’ a few things then choose an electric kit to help me up the hills. thanks for the update, John. nice photos too. Good idea. Dogs are my nemesis here in Thailand too. i have a Merida MTB in Muang Phon, and i’m afraid to ride the darn thing. last time i did, i had a whole pack of dogs chasing me. i made up a batch of super-hot chili water and squirted a few of them in the eyes. they got the message, but the rest kept coming. 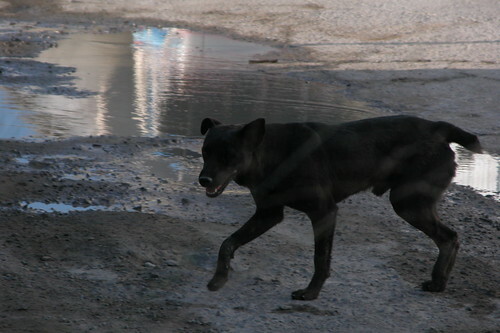 Thailand has a real mess on it’s hands with stray dogs!